Conscious Breathing has played a part in shamanic rituals and ancient indigenous ceremonies since the beginning of time. The breath is symbolized in many creation myths, and it is applied in many initiation rites and religious practices. 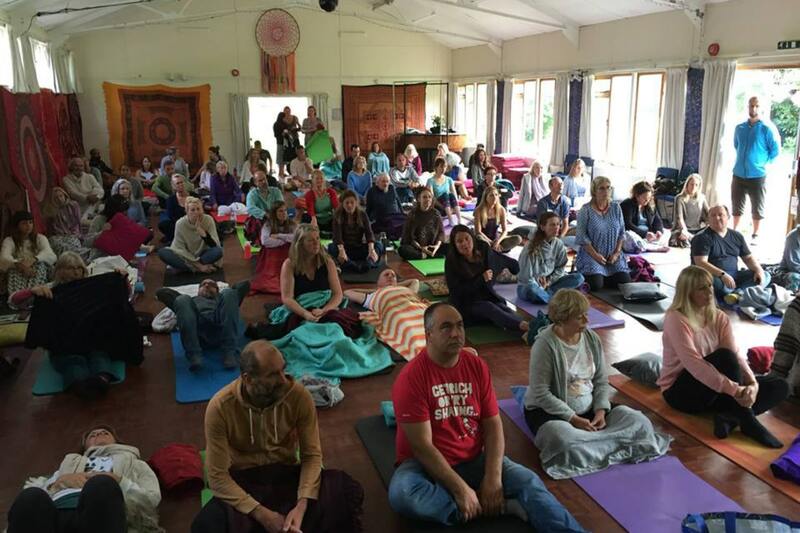 Breathworkers all over the world are now using the power of the breath to awaken inner peace and to promote world peace. Conscious breathing is being used to support healing and growth, to trigger awakening, to fuel performance, and to unlock hidden powers and dormant abilities. Practice squeezing all your breath out, pulling your belly button in toward your spine and pulling up on your perineum. It’s like squeezing all the water out of a sponge. Empty yourself of breath, and when you have squeezed out the last drop, simply relax and open, and feel the breath pouring into you. Then practice taking deeper breaths. Pull past what feels full, beyond what feels like your limit. Topping the inhale off by taking in a few more drops of breath. Create an extra expansion on the inhale. Feel the expansion side to side, front to back, top to bottom. And when you are completely filled, simply let go and relax, and allow yourself to be infused with energy as you exhale. You are softening your borders, gently stretching you limits. You are opening your mind and opening your heart; you are expanding your consciousness… You are inviting your body-mind system to generate and contain and channel more energy. I recently spent time in a cave in South Africa where initiation ceremonies and healing rituals have been taking place for over 30 thousand years! 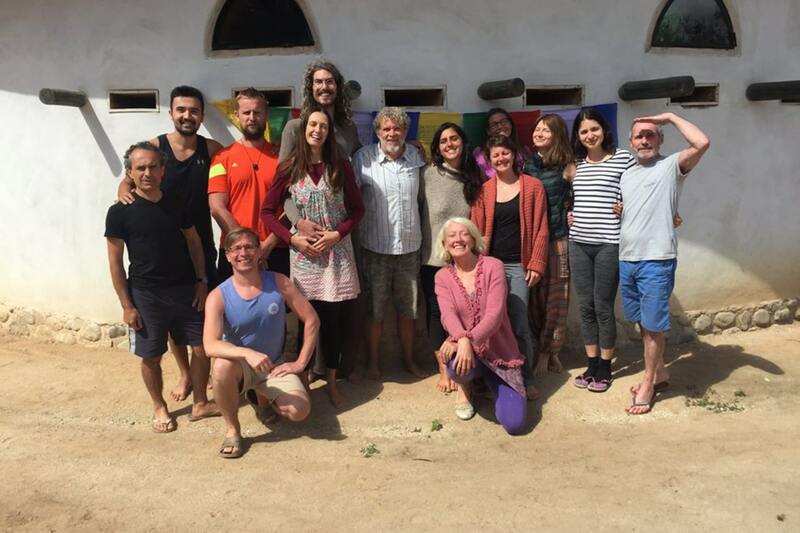 I am so grateful to my friends and co-conspirators at the Vuka Institute (http://www.vukainstitute.org/) and Breathwork Africa (http://breathworkafrica.co.za/). They gave me an opportunity to learn about the ancient Sangoma tradition in which the individual heals the community and the community heals the individual. It was an opportunity to breathe in nature, to re-awaken and reconnect with my love for shamanic breathing exercises and techniques. So this month, I’d like to invite you to explore some of the underlying principles that guide many ancient breathing practices. The key principle is human connection. Connection to our ancestors. Connection to the earth and to the elements. Connection to nature, to plant and animal spirits. Connection to the cosmos and connection to the Source of all life. I invite you to create your own rituals! Feel free to borrow from any of the ancient wisdom traditions or indigenous cultures, or from any spiritual tradition. Use drumming or dancing, use singing or chanting. Or let it be subtle and silent. But make sure to use the breath! For example, every day, millions of Buddhist monks face the four directions of the compass and quietly generate and extend peace and compassion out into the world. Use your breath to bring practices like this alive in yourself. What kind of energy or what qualities would you like to be filled with? Breathe them into yourself. What kind of energies would you like to send out into the world? Breathe those energies. Generate these energies in yourself with the breath and then freely overflow or radiate them out into the world as a prayer or a blessing to everyone in existence. Leave no one out. Hold nothing back. I am writing this from South Africa, where there are deep wounds related to past atrocities. Generations of people were made to feel inferior, and so much needs to be done to heal bodies, minds and souls. Here, science and medicine are merging with Indigenous Knowledge Systems (IKS), to create new profoundly effective solutions that cut across the entire political and religious spectrum. People are using the breath to tap into deep inner resources of strength, and they are breathing together to give expression to common dreams, shared intentions and collective aspirations. And you too can do this. What do you wish for yourself? What do you wish for others? Focus on that and breathe. How can you use your breath to come closer to those you love? Invite support from your ancestors and from even wiser future generations of golden beings. Use your breath to invite this support, to open to it and to welcome it. Use your breath to send your heartfelt intentions out into the world around you. Put passion and enthusiasm into every conscious breath you take. Engage your imagination. Call upon God, upon the Creator. Allow your inner child to control and direct your breathing. Use sound and movement. Use imagery and emotion. A heartfelt intention powered by the breath really can change the world! It can certainly change your inner world. What is important to you? Courage? Compassion? Peace? Joy? Freedom? Health? Create your own rituals using the breath to awaken or generate these qualities, these energies. Your heart will guide you. Stories and teachings from any religious tradition can be brought to life in you with the breath. And be assured, that all the great saints and masters and mystics and guides will take note of your efforts, of your intentions, and they will come to aid you and to guide you in your practice. Osho/Rajneesh once suggested that we breathe in all the pain, all the disease, all the violence, all the suffering of the world. When I first heard that, I said: “Why would I want to do that!” But the fact is, the heart is a transformer. The heart has a natural ability to transform pain into pleasure, hate into love, fear into peace, sadness into gratitude, suffering into joy. Leonard Orr once said that Rebirthing-Breathworkers were the “spiritual vacuum cleaners” of the world! I like that idea of being a unique force for healing and change. Create an intention, and with passion and enthusiasm, breathe that intention into being, into existence, into reality! Use wind noises, use ocean noises. Use interesting and enjoyable breath sounds. Practice breathing with great intensity, and also with gentle subtlety. Practice breathing fast as well as slow. Practice breathing high in your chest and low in your belly. Practice breathing in through the top of your head, or through your feet. Breathe in and out through your hands or your fingertips. Breathe through your eyes. Breathe light. Be creative. Dare to be a modern medicine man or medicine woman, a modern healer, a shaman! Trust your heart! Breathe into your heart. Breathe from your heart. Breathe with your heart. Let me know what you create, what you discover, what you experience. Much luck in your practice and many blessings on your path!